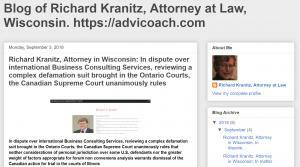 GRAFTON, WISCONSIN, UNITED STATES, October 28, 2018 /EINPresswire.com/ -- “With the increase of high-profile sexual misconduct cases against high ranking corporate officers, buyers are increasingly turning more attention to social due diligence and including the so called ‘Weinstein Clause’ in their offer terms”, says veteran attorney Richard A. Kranitz. The Weinstein Clause, a moniker originating from the widely publicized allegations against movie producer Harvey Weinstein, could refer to many different forms of a contractual clause ranging from escrowed funds against potential damaging claims arising after the sale to guarantees that there are no known claims of sexual misconduct against current high-level corporate executives. The increasing use of the Weinstein clause highlights the concerns that many buyers have of later revealed damaging information. Richard Kranitz cautions that some, however, are skeptical as to the real-life impact of increased efforts to mitigate risk from corporate sexual misconduct. In an interview with the Washington Post, noted attorney Debra Katz welcomed the focus such efforts put on sexual misconducts, but was unsure whether it would have real life impact. Ms. Katz noted that high number of sexual misconduct cases go unreported. Furthermore, if the misconduct was perpetrated by an executive at the highest level, efforts such as the Weinstein Clause may be unlikely to cause disclosure of information regarding the misconduct. "Even if there are hurdles such as calculations of damages in enforcing such a clause, the attention on the issue of unknown sexual misconduct by the seller in corporate M&A shows the increased significance of such issue. It will take a multi-dimensional approach, including contractual clauses and deeper due diligence, to address the issue of unknown sexual misconduct in corporate acquisitions," Mr. Kranitz concludes. 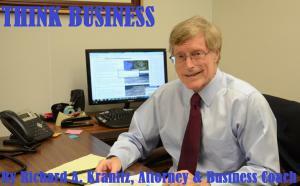 Richard Kranitz is an experienced attorney and business consultant in the areas of corporate, securities and tax planning for corporations, partnerships, joint ventures, limited liability companies, multi-unit enterprises, and a variety of different non-profit entities. In addition, he has counseled their owners and executives in compensation planning, estate plans, and asset protection.